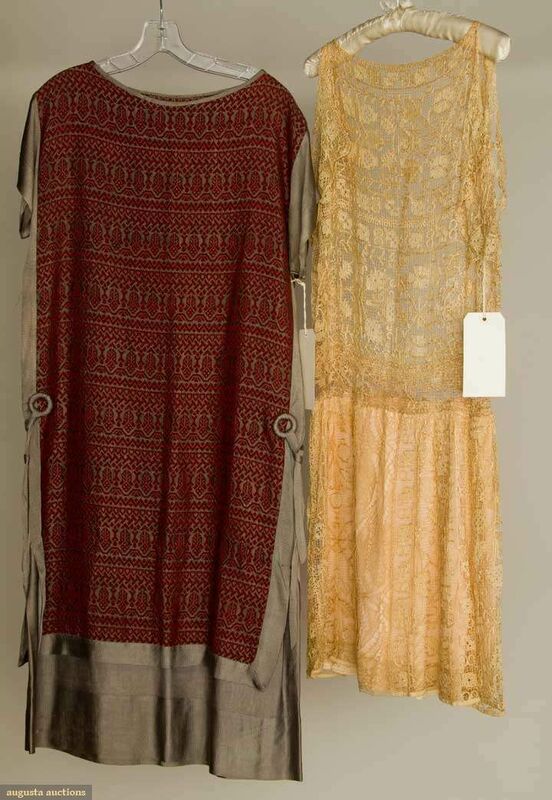 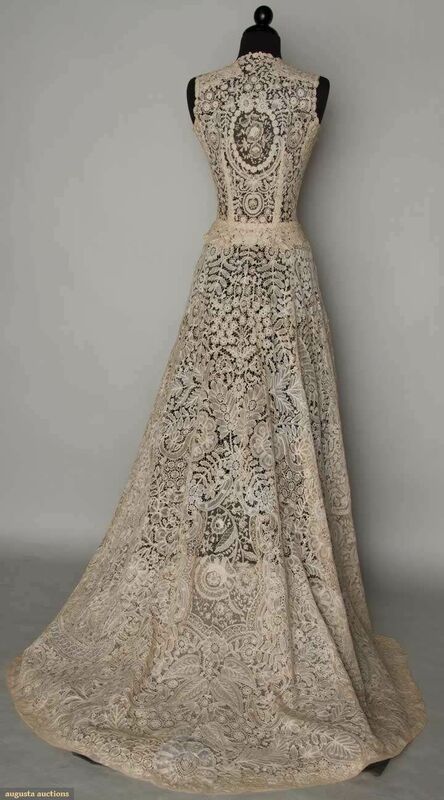 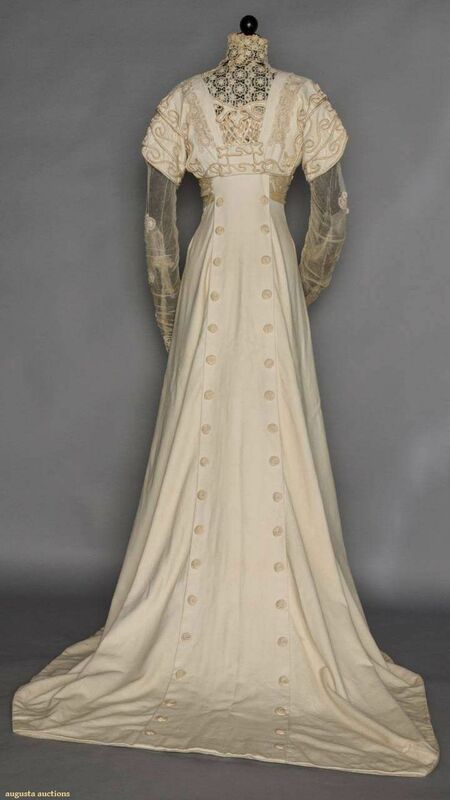 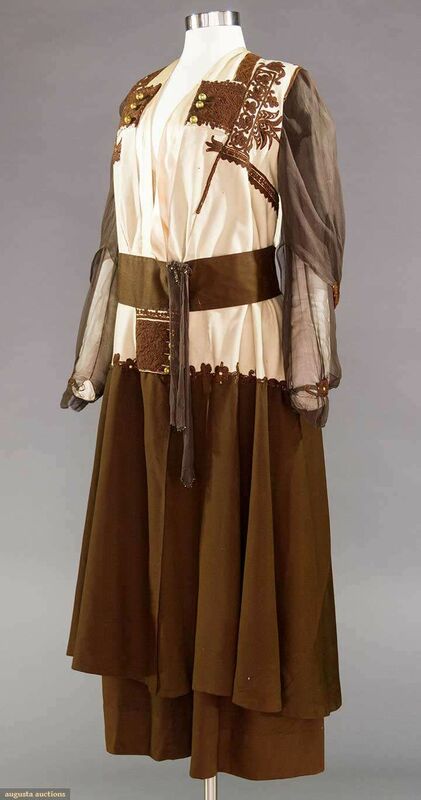 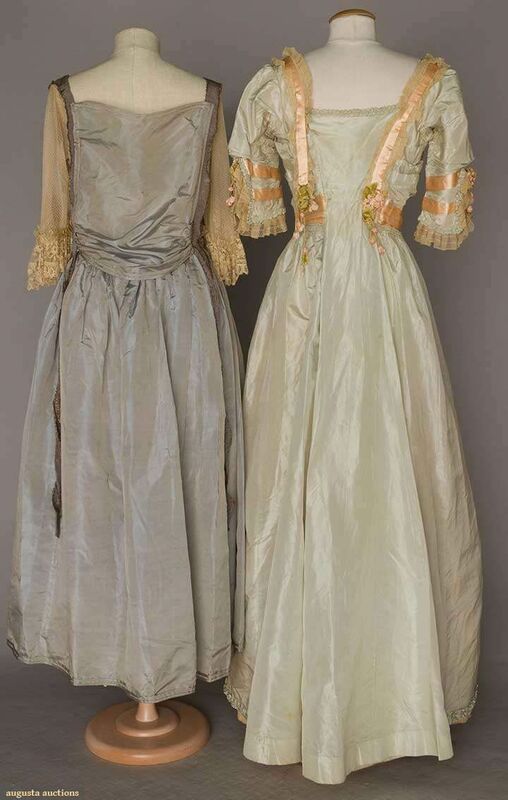 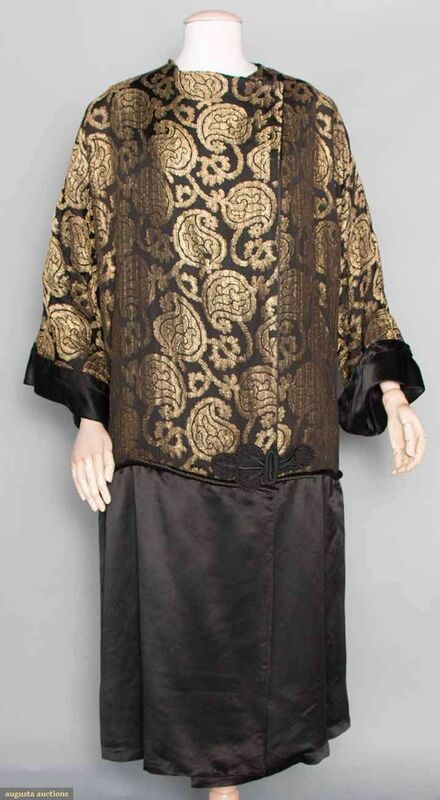 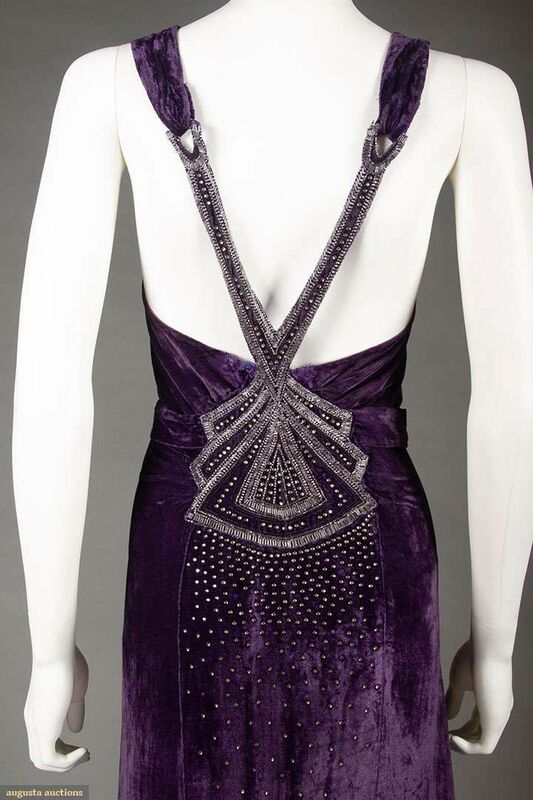 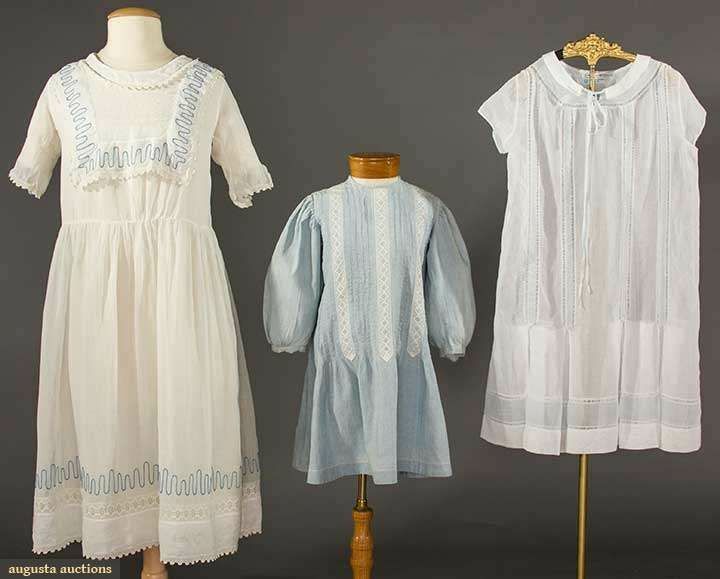 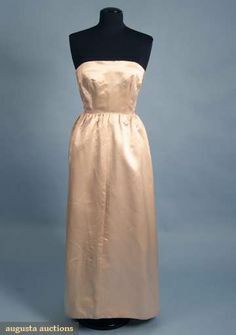 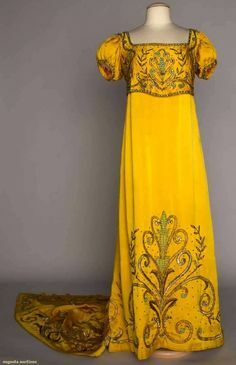 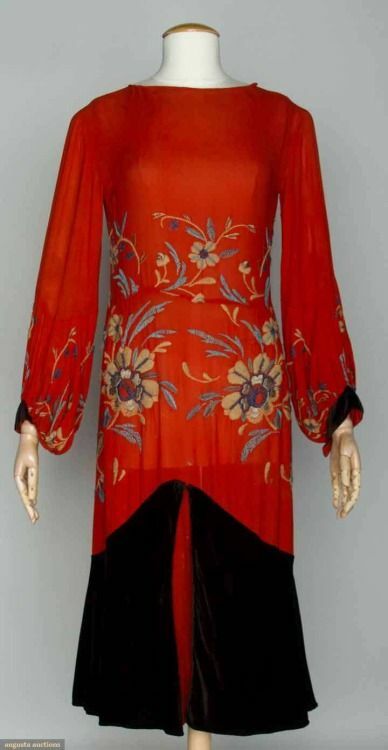 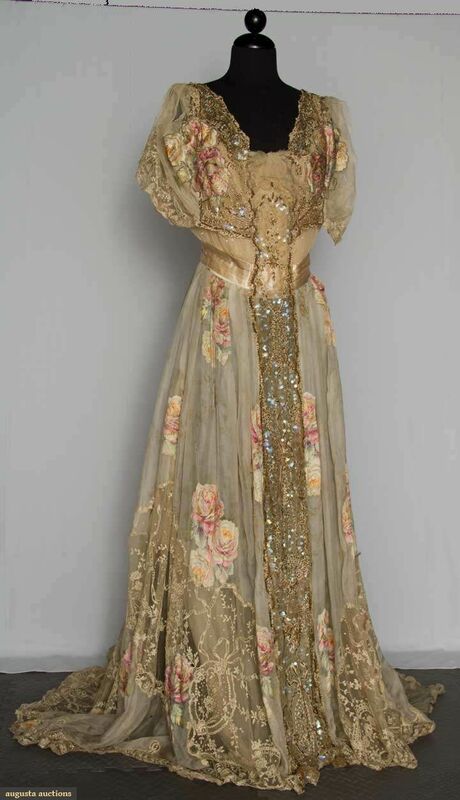 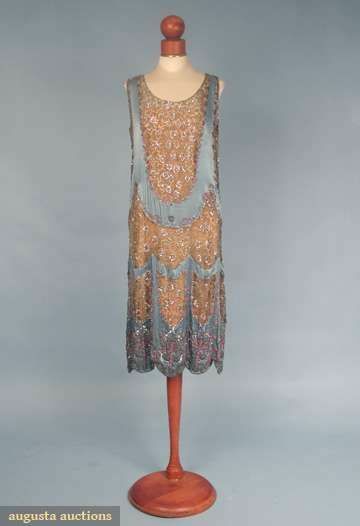 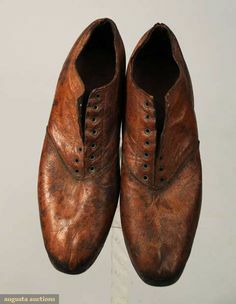 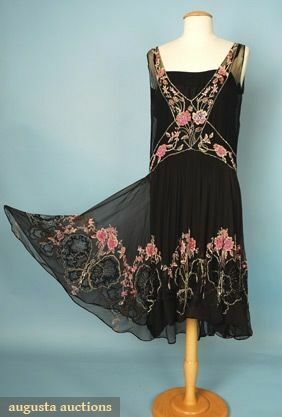 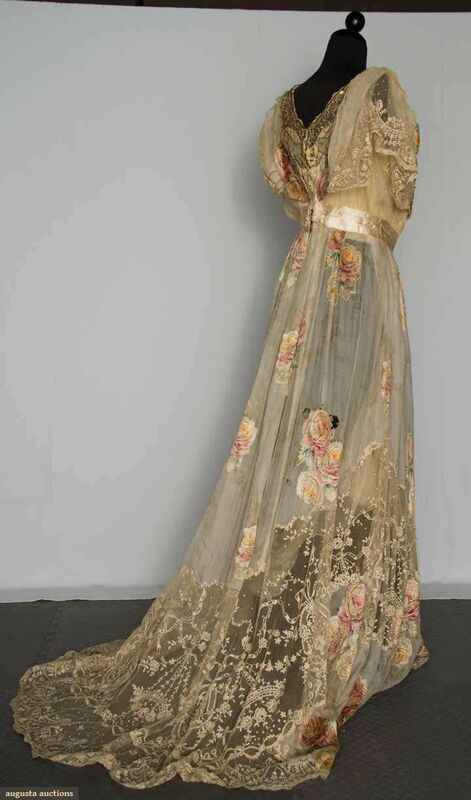 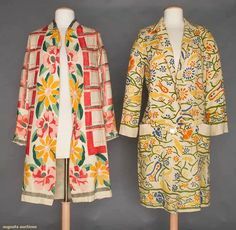 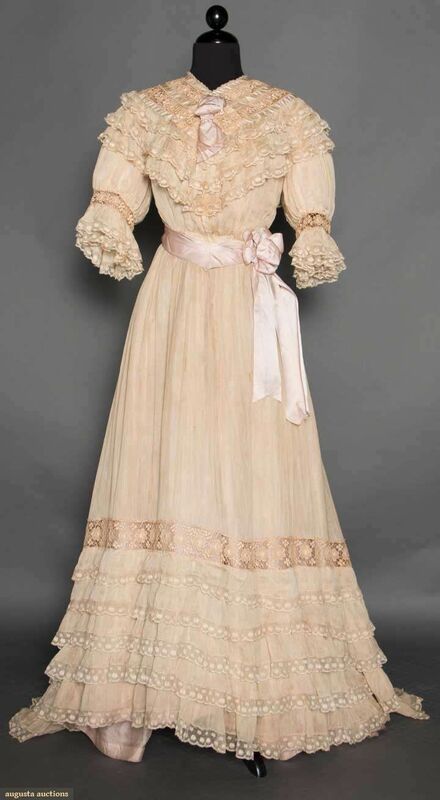 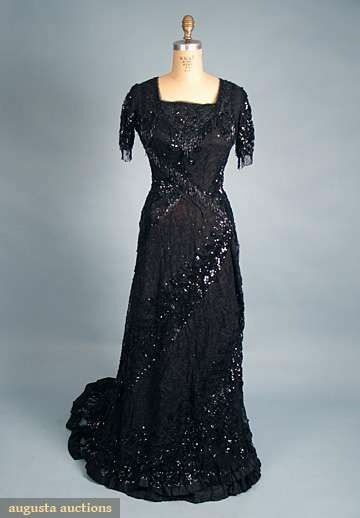 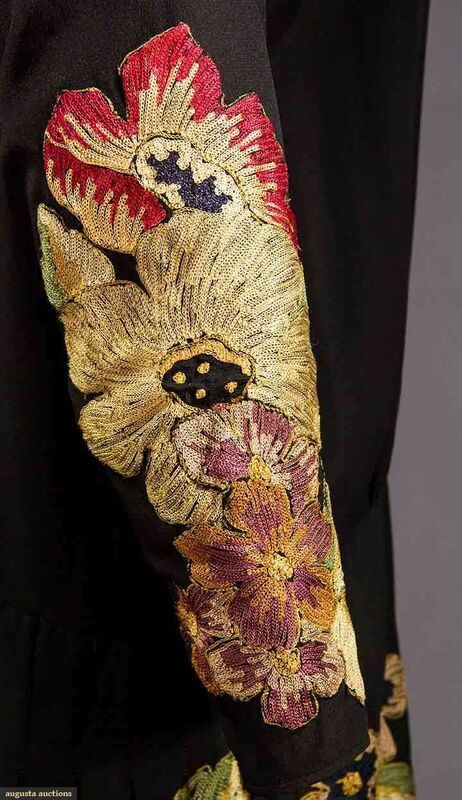 Augusta Auctions accepts consignments of historic clothing and textiles from museums, estates and individuals. 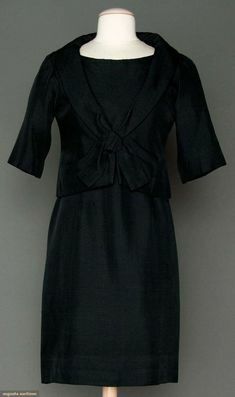 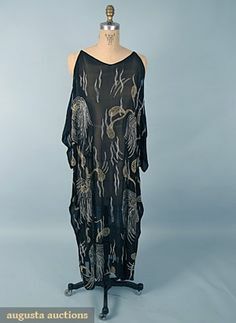 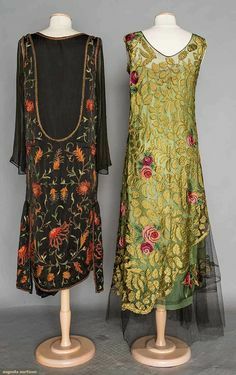 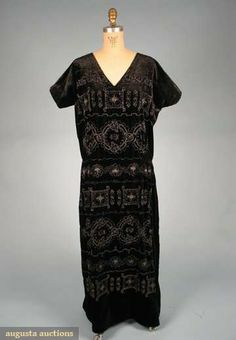 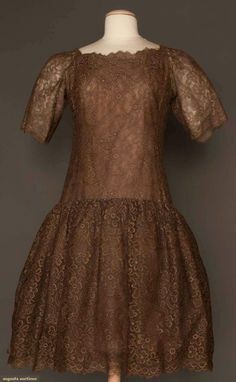 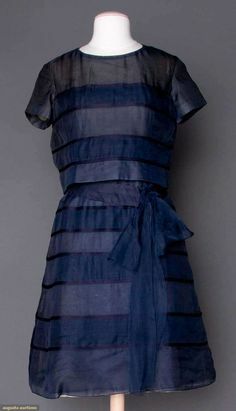 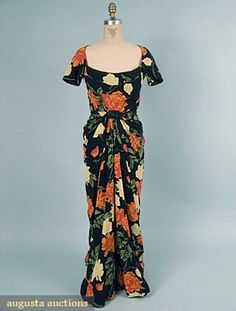 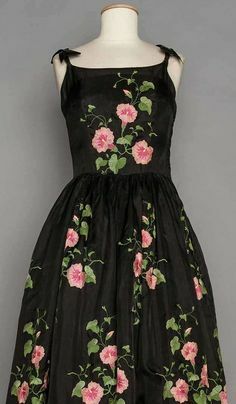 SILK BROCADE DAY DRESS, 1920s Navy satin ground w/ Persian inspired boteh small flower pattern in gold green, V neck, B ", H ", L ", excellent. 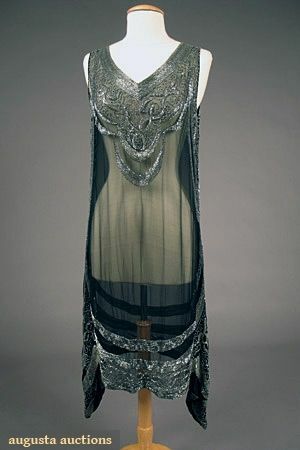 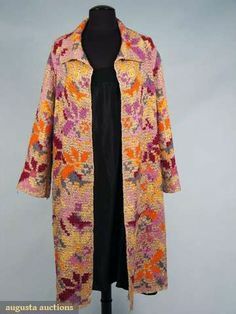 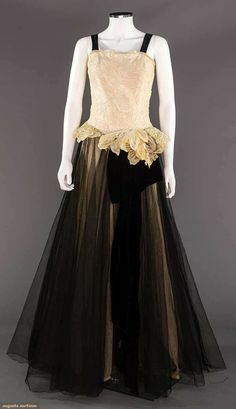 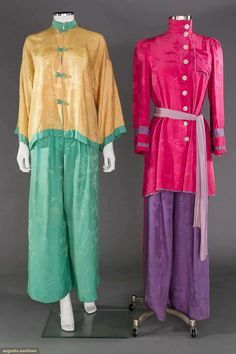 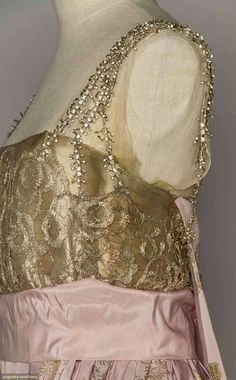 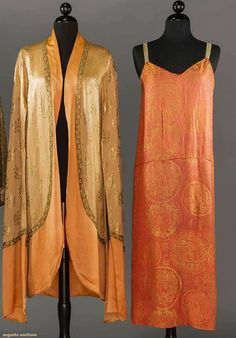 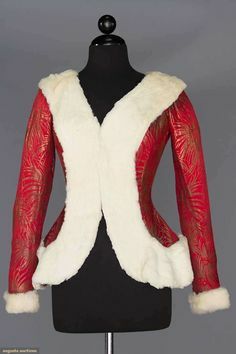 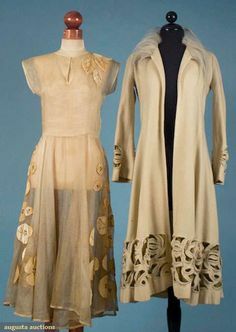 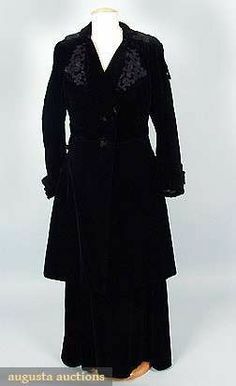 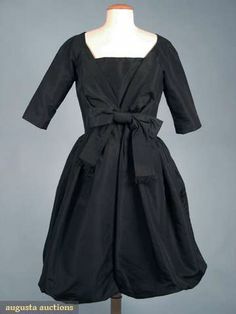 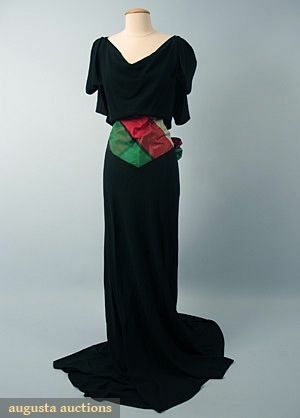 Jeanne Lanvin Lame Coat, Late 1920s. 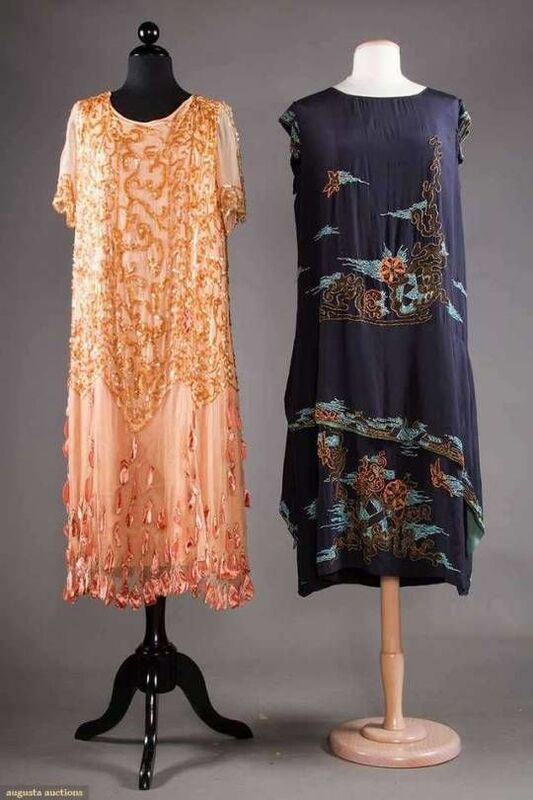 For upcoming vintage fashion and textile sale. 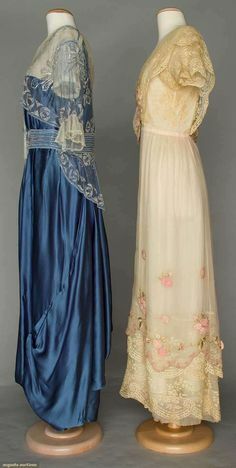 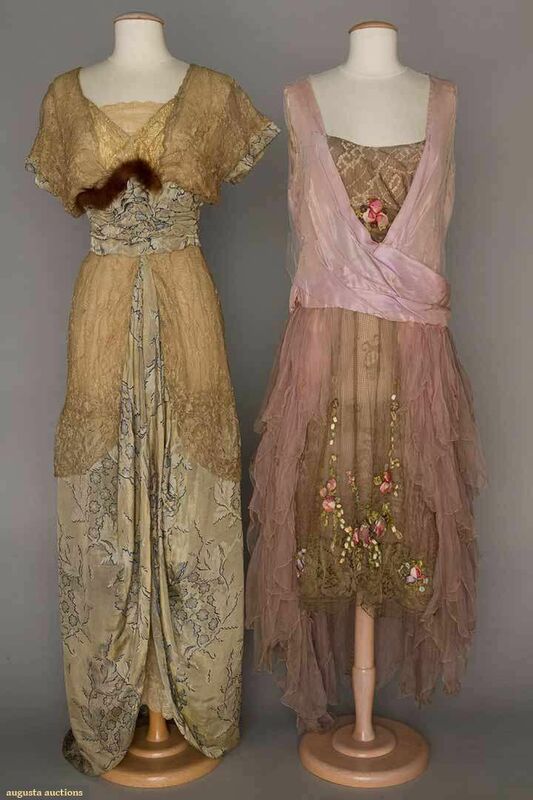 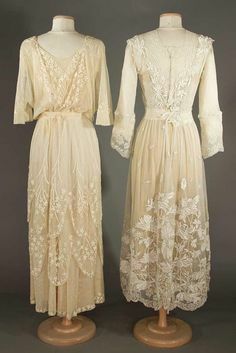 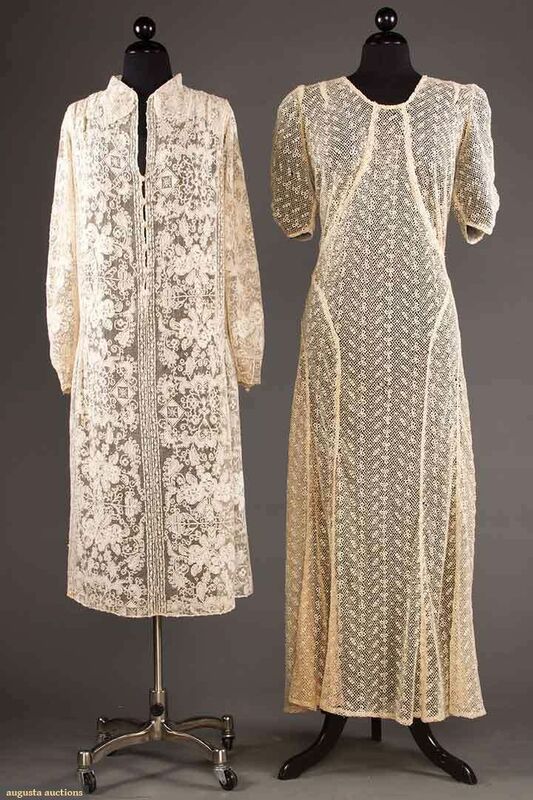 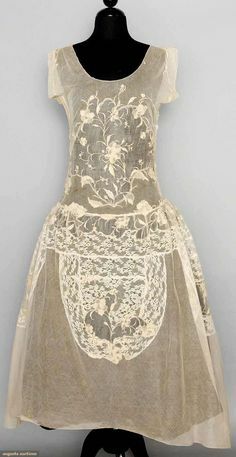 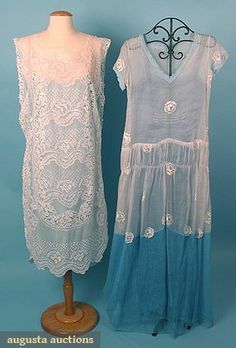 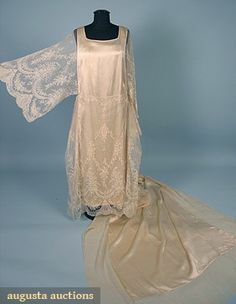 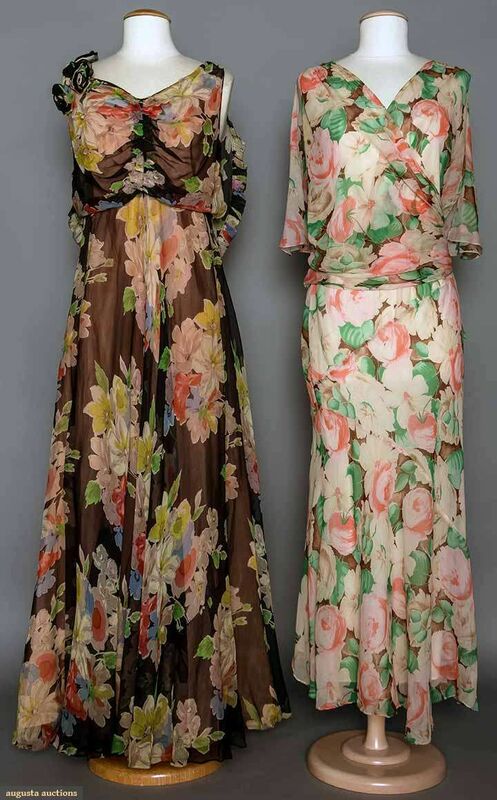 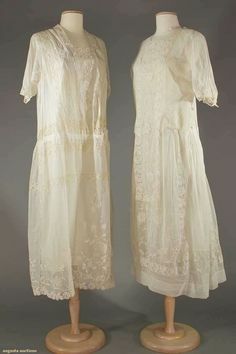 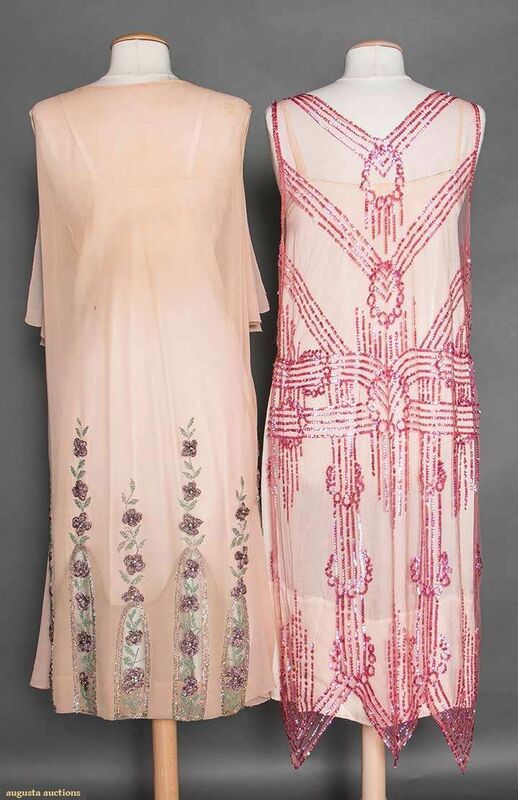 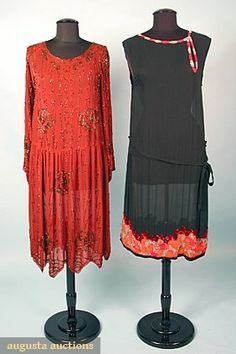 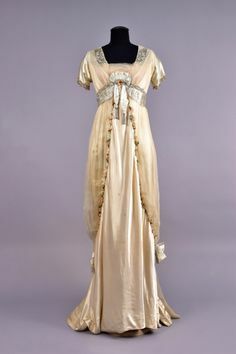 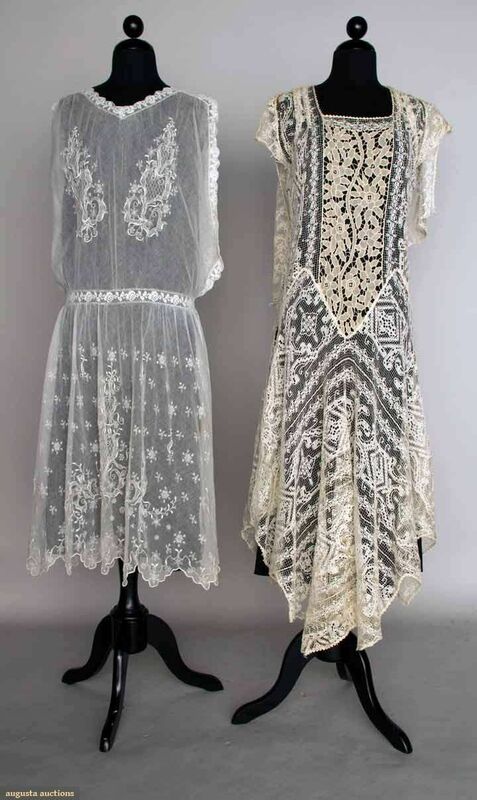 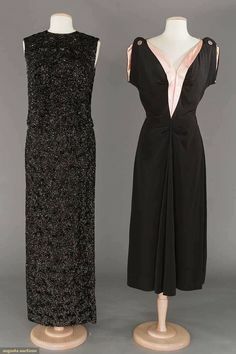 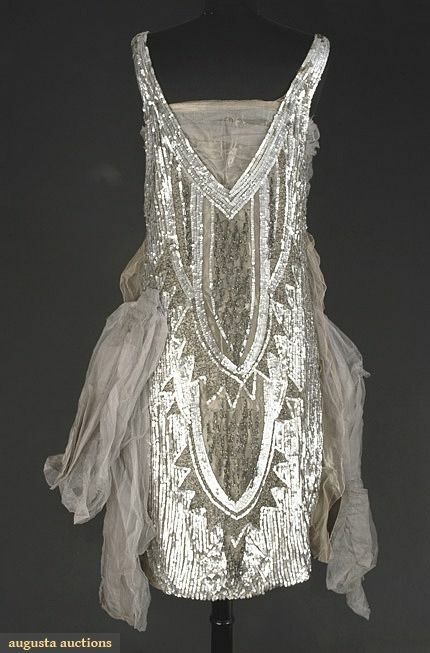 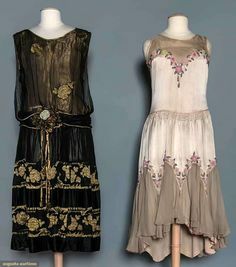 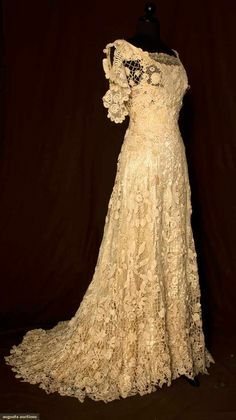 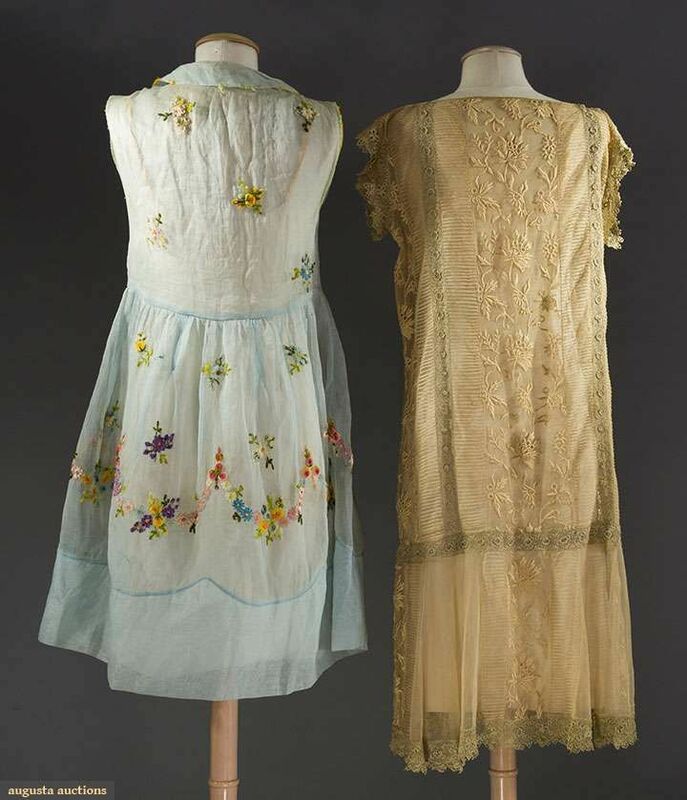 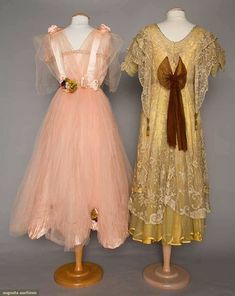 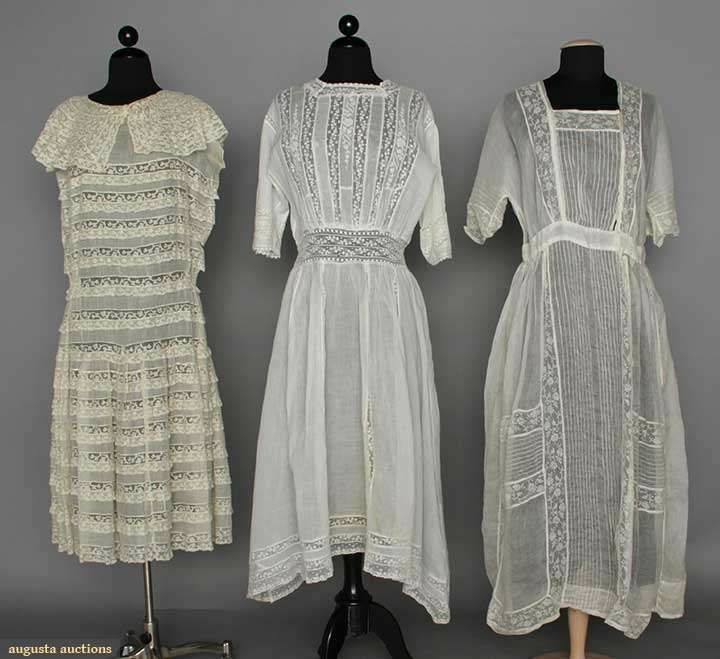 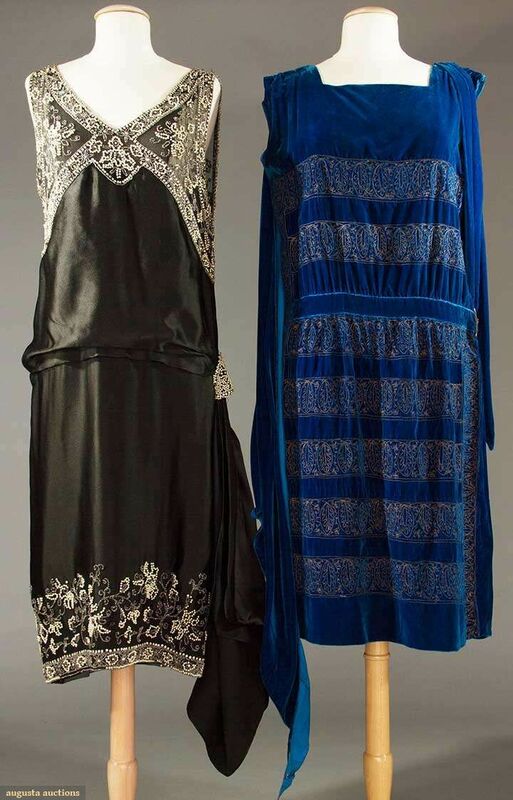 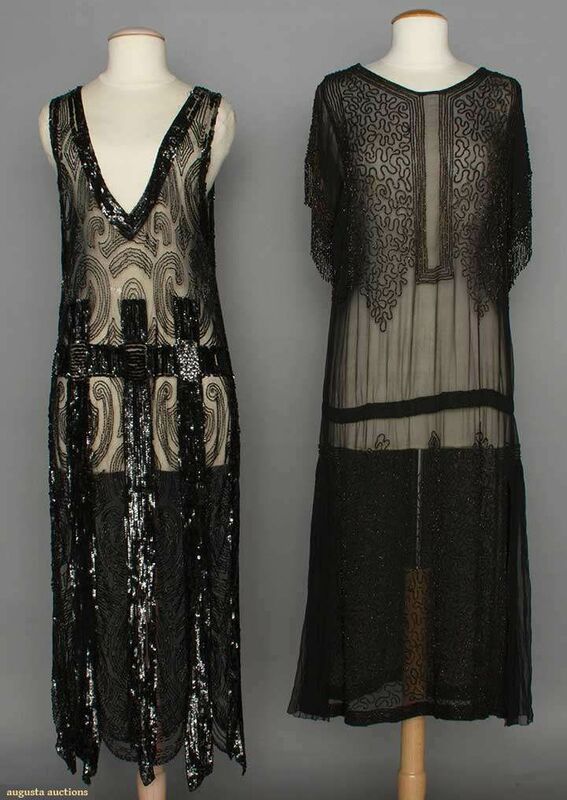 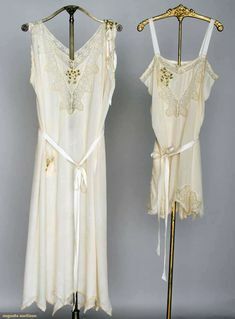 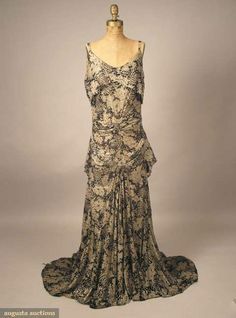 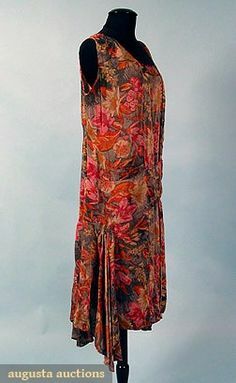 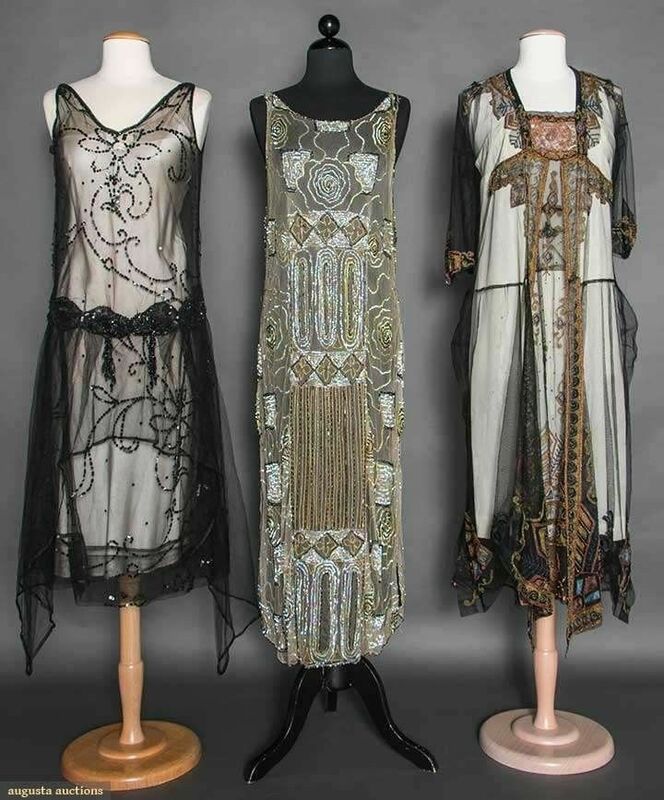 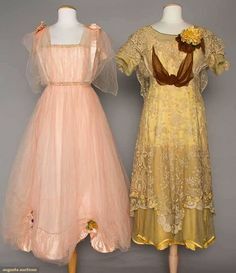 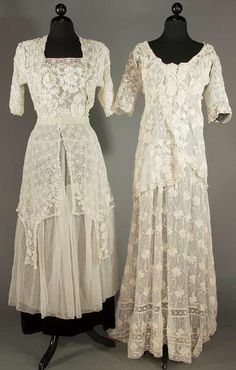 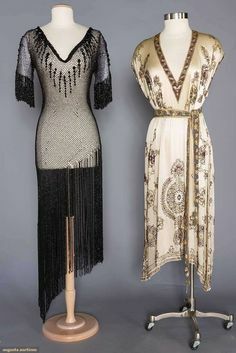 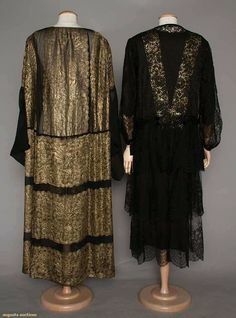 Augusta Auctions: printed chiffon & lame evening gown, c.
1914 Both white cotton w/ lace trim; t/w 1 1920s white lawn & lace dress.